Where can I find the serial number on my Acer Windows Mixed Reality headset? 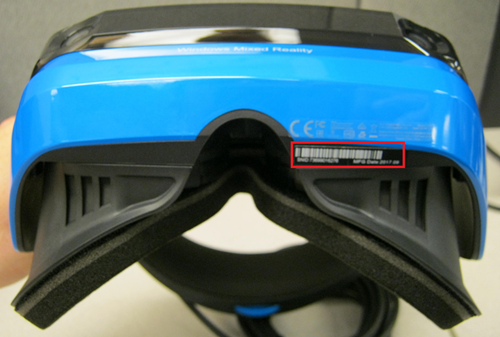 You can find the serial number label on the bottom left side of your Acer Windows Mixed Reality headset. You can see an example of the label in the image below. The headset will only list the SNID number and will not show the full 22 character serial number. The complete serial number can be found on the outside of the product packaging. The SNID and serial number are interchangeable for support purposes.